Men v Ladies Guess who Won? Sawbridgeworth played Kings Langley in the semi final at Garston on the morning of 18 September and won. In the afternoon Sawbridgeworth lost the final to Oakhill. 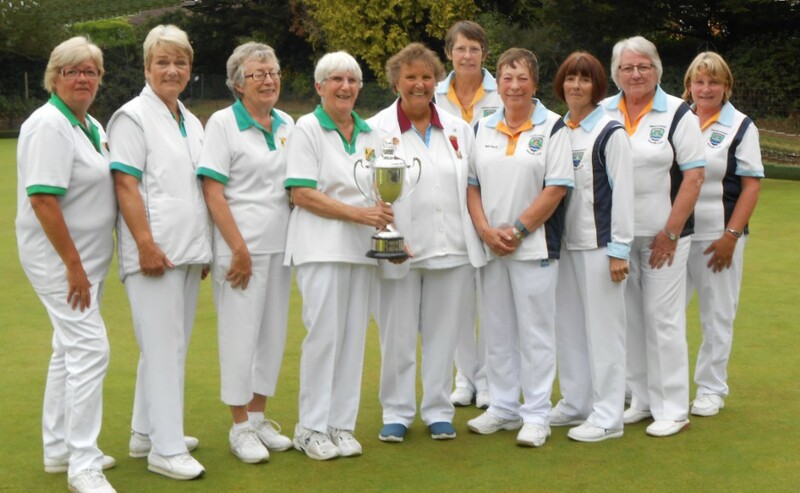 President Sue, of Hertfordshire Bowls with the winners and runners up of the ladies County League.